Colonel Tom Ahern, Colonel Peter Marron, Colonel Brian Monahan and Colonel Eugene Smyth, all members of the 52 Cadet Class, joined the Defence Forces in November 1975. They retire during the months of February and March 2018 having each completed over 42 years’ service. As a mark of appreciation, and in recognition of their long and distinguished service, a retirement celebration buffet lunch will be held at 1500hrs for 1600hrs on Friday 06 April 2018 in the Officers’ Mess, Cathal Brugha Barracks, Rathmines, Dublin. 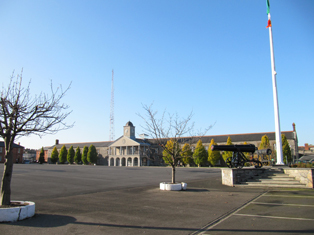 Members of ARCO who wish to attend, or send messages, should notify the Mess Secretary or Mess Sergeant, Officers’ Mess, Cathal Brugha Barracks via email at: cbbofficersmess@gmail.com or phone via Extn 6460/6355, not later than 1630hrs on Wednesday 28 March 2018.